What can we expect to see in the next generation of cars? 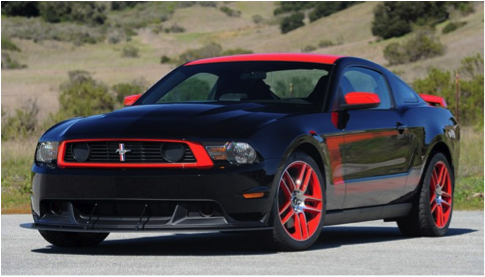 In the past we have seen American Classics like the Mustang evolve from its original style to a 21stcentury retro-fit. We have seen Porsche modify the sleek, simple design of the 911. Every year car models look better, have more under the hood, better fuel efficiency and improved safety features. But we as consumers are beginning to expect more from our favorite manufacturers, as technology is changing in other areas of our lives. Recent innovations in our phones and computers have integrated some of the most important aspects of our life such as social media, work, and entertainment. Given this, we should expect the same to occur within the confines of our vehicle. As technology evolves around us, so do our preferences, and car manufacturers will inevitably catch on. That is why in the near future we can expect to see manufacturers invest more in integrating our vehicles with our iPhone’s, Android’s, iTune’s libraries, favorite social networks, Outlook inboxes, and any other aspects of our lives that have become central to getting through the day. Take a look at what the gas-electric hybrid Chevy Volt can do. From an app on your iPhone, you can monitor battery, fuel, and oil, and even lock/unlock your car from anywhere. 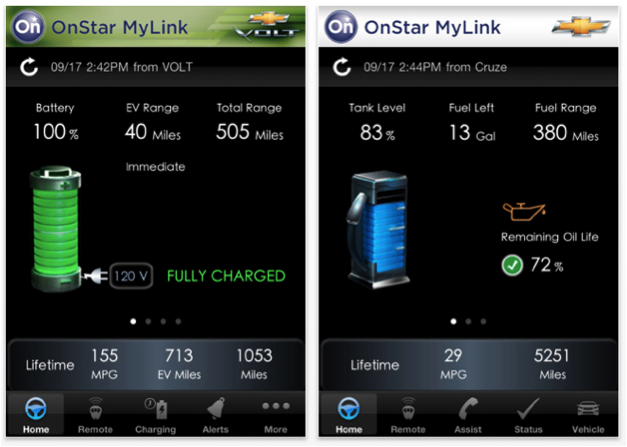 This is all integrated with OnStar for any service needs you may request directly from the application. Many cars now come standard with Bluetooth to talk on your phone wirelessly, and have plug-ins for your iPod as well. But these advances will not stop here, nor are they enough to satisfy the tech savvy consumer of today. When we can ask Siri for directions to the nearest Starbucks, and have that pop up immediately on our phone, we want that in the navigation system in our car. When our music library can sync between our phones, computers, and tablets via a cloud-based network, we want that in our car’s entertainment system. We want to ask our car to play our favorite song, turn to the news on satellite radio, read the last email from a co-worker, and even tell us our tire pressure. Our car should be able to tell us all these things, and perform these functionalities, without us ever having to take our eyes off the road, or our hands off the steering wheel. 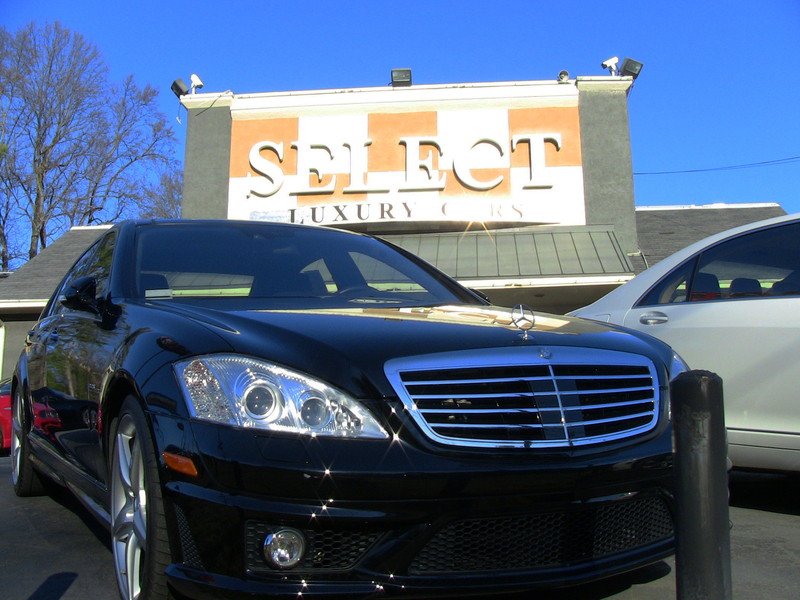 Select Luxury Cars, located in Marietta, Ga. on Highway 41, hand “Selects” every vehicle. We specialize in the highest quality automobile made all over the world. Whether you live here in the Atlanta area or anywhere around the world, we will find the exact car you are dreaming of. If you are looking for a Mercedes, BMW, Bentley, Rolls-Royce, Lamborghini, Ferrari or other high end model, begin your search here and we won’t disappoint. First off, filter by mileage – not price. A car’s mileage can often be the best indicator of its quality. As a golden rule, previous owners should have put no more than 10-15k miles on the road per year. Cars with high miles bring unexpected maintenance issues, surprises in the Carfax,and unsightly dings and scratches. Next, know the reputation of your seller. If you are purchasing from a dealer, you may judge their credibility by reading past reviews available on sites like eBay Motors. The quality of the pictures they take is also a great indicator. The clearer, more plentiful, and larger the photos, the less the seller is trying to hide. 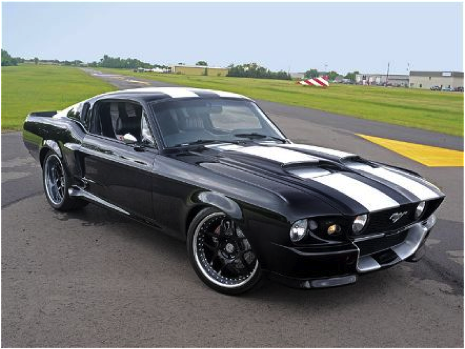 Some dealers are able to establish such high esteem and quality online presentation that buyers can be confident of a purchase without ever seeing the car in person. Finally, pre-inspect the vehicle for piece of mind. There is nothing more frustrating than running into engine problems before you get the chance to enjoy your purchase. Even if you are covered by warranty, the risk of the hassle alone is worth the pre-inspection. These three tips are certainly not the only criteria you should consider when purchasing from the used car market, but they will steer you in the right direction. Remember to think conservatively about your purchase, and realize that if the price is too good to be true, then you can expect problems in the near future.